The fence is still here. I am starting to know this place by heart. As a matter of fact, I knew it from before the refugees crisis, and I have been regularly back to see how the things were evolving. As you may guess, the situation did not improve: refugees are now stuck in the no man’s land at the border crossing, and the wall is getting bigger. 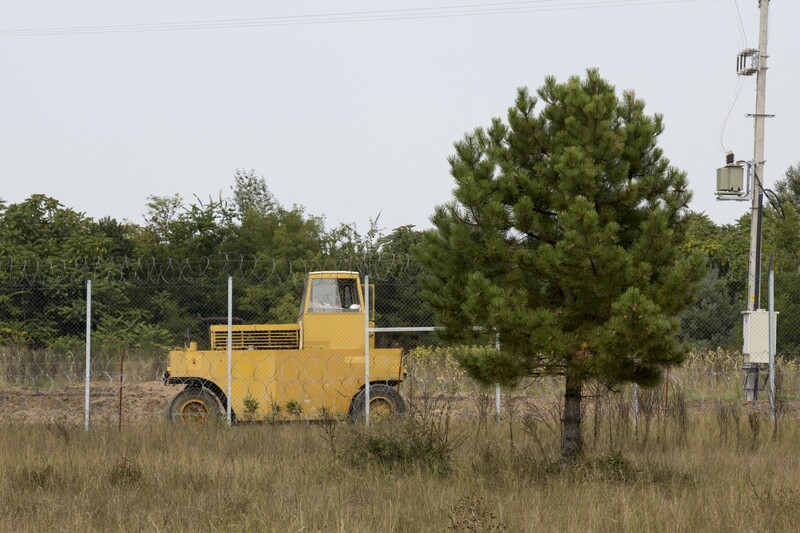 Built to prevent refugees to enter Hungary from Serbia, the fence appeared to be pretty useless, as it just led smugglers to cut it to carry on their business. Therefore, if one fence is not efficient, building a second one right after could be the solution. As simple as it sounds, this is the solution Hungarian authorities have found! The place I had left last time quiet and silent is now a construction site. Bulldozers, trucks and workers pass by, preparing the erection of that new metal curtain, surrounded by a heavy group of policemen and soldiers. Policeman: can we see any ID? We continue to walk, not minding their requests, while the policeman reports every single of our moves by radio. More and more troops are now following us, even a car! 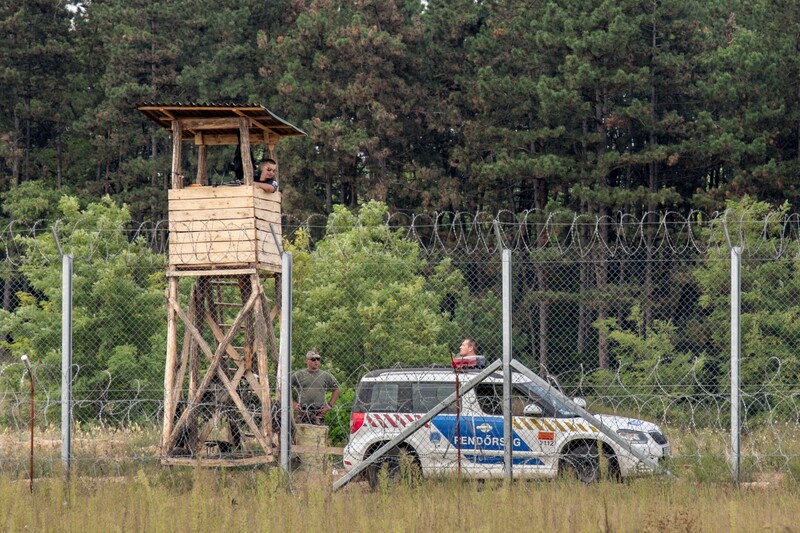 As we get a bit closer to the fence, while still being in Serbia, the car turns on its siren to deter us from coming closer. We finally leave the border area the same way we came, not encountering a single Serbian policeman. Back in the city, I started to analyse the pictures I had taken, but I was stunned by what I had just seen. I have a mixed feeling of sadness, anger, but as well pity about the situation. I have just witnessed Hungary’s attempt to deter me from taking pictures of the reality of the wall, the same way Budapest tries to intimidate refugees, NGO’s and medias. Such actions have an effect on the territory of Hungary, judging by the drop the country is experiencing regarding democracy at the moment, but they are pretty useless passed its boundaries. “Big Orban is watching us”… but cannot do anything! I was not risking anything by standing in front of these uniforms, despite all they were saying, and all they were asking. They could threaten me as much as they wanted, but they could not take any action, they were locked behind the wall. I could take pictures as much as I want, and provoke them by letting them know I will use they pictures as much as I want, they could not catch me, stuck on the other side of the fence. Weren’t there reports of violence against refugees committed by these guys, I would almost feel pity for them. In their oversized, tasteless and dirty uniforms, the Hungarian troops looked really bored, watching empty fields in front of them. As some European countries are now “protecting themselves” with the same walls, I am asking myself this question: will they realise they are locking themselves before it’s too late?